Home » News » Bunnies Helped by Buying a House! Bunnies Helped by Buying a House! 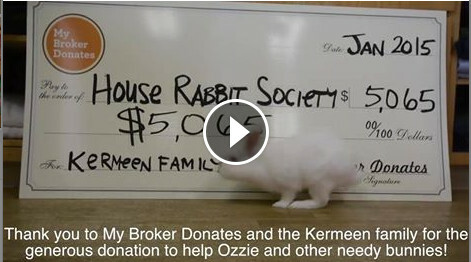 When the Kermeen family bought a new house in Berkeley, they got a real estate agent through MyBrokerDonates.com, and made a $5,000+ donation to House Rabbit Society at no cost to them! 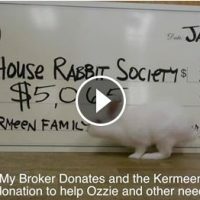 MyBrokerDonates.com can connect you with a real estate agent anywhere in the US – when buying/selling a home, you can make a large donation to help the bunnies, at no cost to you!